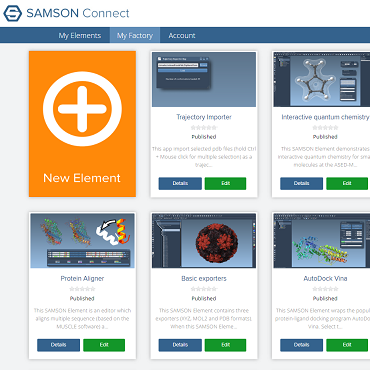 We use the SAMSON Element Generator to create the template of a new SAMSON app. We use this template to develop our first app: a tool to perturb atoms positions in the document. 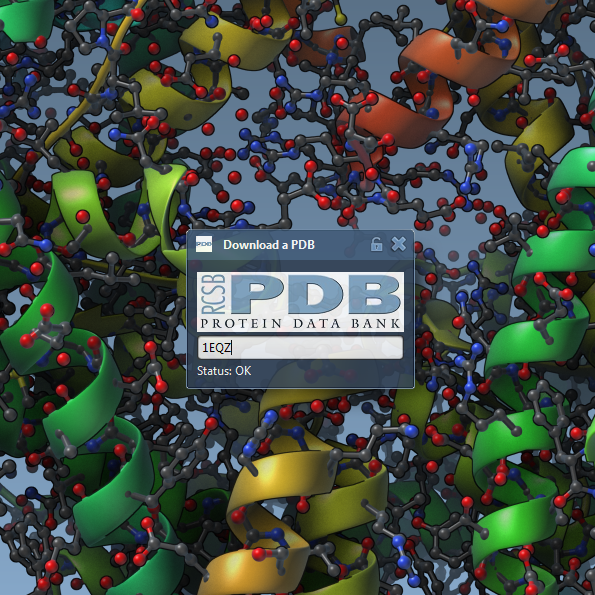 We explore the creation of the user interface, the retrieval of atoms in a document or in a user selection, and perturb atom positions using a random number generator. We use SAMSON's holding mechanism to let users undo and redo their actions. 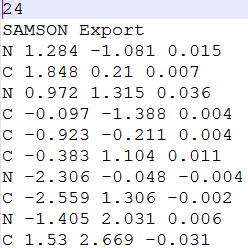 We show how to add and remove nodes from SAMSON documents, how to construct molecules using the SDK, and how to manipulate the SAMSON data graph with indexers and predicates, which power SAMSON's Node Specification Language. We explain how to construct and manipulate predicates, and how to use them to search data graph nodes. 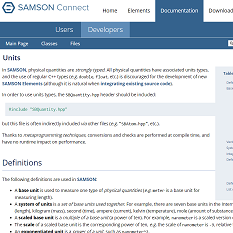 We further explore how to create user interfaces for SAMSON Elements using Qt and SAMSON windows. We introduce frequently used widgets, layouts, and explain Qt's signals and slots mechanism used to make interfaces react to user actions in more detail. 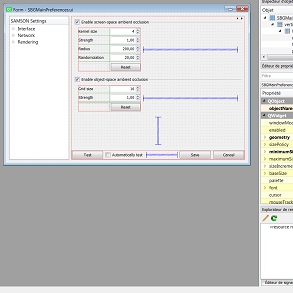 We implement various interfaces to perform basic actions in SAMSON, and show how to save and load user-defined settings. We introduce visual models, and show how they can be used to provide new visual representations to users. 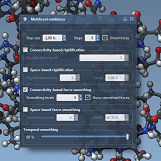 We introduce SAMSON's various display functions used to simplify the rendering of spheres, cylinders, surfaces, etc. 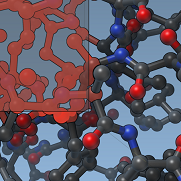 We program a van der Waals representation of a group of atoms. 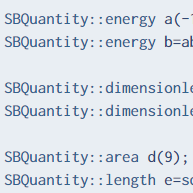 We show how to make objects selectable by the user. We demonstrate how to develop editors. 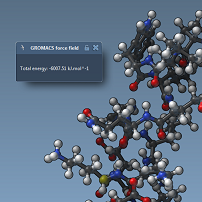 We show how to react to mouse and keyboard events, and implement an editor that pushes atoms around. 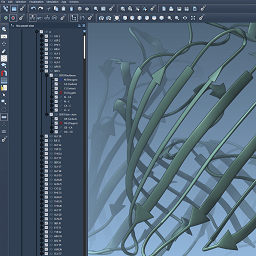 We show how to convert back and forth between screen coordinates and world coordinates, as well as pick data graph nodes in the viewport. We demonstrate how to connect SAMSON to a web service using Qt networking capabilities. 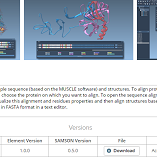 In particular, we show how to fetch a protein structure from the protein databank, write a file to the disk, and import the structure into SAMSON. We introduce SAMSON's signals and slots mechanism that can be used to make SAMSON Elements react to events sent by atoms, bonds, models, etc., and develop adaptive algorithms. We develop an app that computes the center of mass of a group of atoms, and incrementally updates the center of mass when an atom moves. We explain serialization, the mechanism that underlies various processes in SAMSON, used in particular to copy and paste data graph nodes, as well as save and load SAMSON documents. 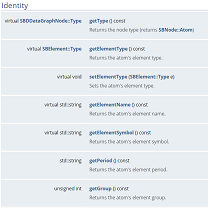 We show how to serialize and unserialize custom data graph nodes (e.g. new visual models that we want to save and share). 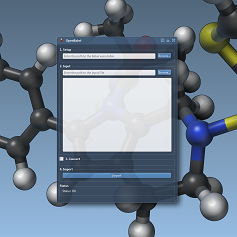 SAMSON's introspection mechanism makes it possible to share functionality between SAMSON Elements without having access to their source code. 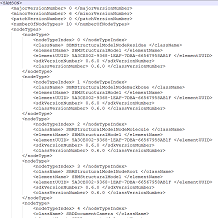 We explain the introspection mechanism, and we show how to expose, create and share classes between SAMSON Elements. We review and conclude the Developers program, and discuss about where the SAMSON SDK should head in upcoming versions. We brainstorm about possible new developer features, and prioritize them.